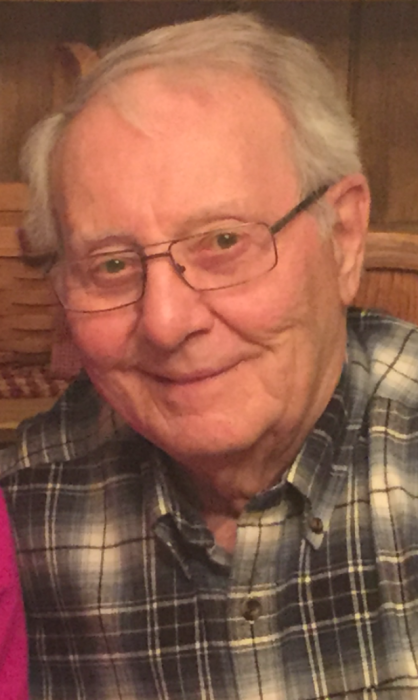 Obituary for G. Robert "Bob" Crider | Harold M. Zimmerman And Son Funeral Home Inc.
G. Robert “Bob” Crider, age 84 of Greencastle, PA went home to be with his Lord and Savior Jesus Christ on Sunday December 2, 2018 in his home surrounded by his loving family. Born March 19, 1934 in Greencastle, PA, he was the son of the late Garold Franklin and Hilda (Zeger) Crider. He married his loving wife Dottie (Crawford) Crider of 62 years on July 22, 1956. Bob was employed for 38 years as an engineer with the Landis Tool Company of Waynesboro. Following retirement, he was the owner of the Appleway Orchards in St. Thomas, PA. He was a member of the Antrim Brethren In Christ Church near Chambersburg where he served as deacon, a board member and together with his wife taught the Home Builders Sunday Class since 1987. He enjoyed serving and loving people by going on missions trips. Bob also loved to hunt, fish and collect Indian artifacts. Bob was a 1952 graduate of Greencastle High School. Surviving family in addition to his wife are three daughters, Kim Berger (Rod) of Waynesboro, PA, Becky Andrews (Allan) of St. Thomas, PA, Cindy Basore (John) of Hagerstown, MD; he was Pappy to nine grandchildren, Allan, Chad, Josh, Sherie, Jared, Matt, Cherish, Beth and Chantel; and Pap-Pap to twelve great-grandchildren. Bob is also survived by a brother George Crider of State Line, PA, two sisters, Polly Crider Martin of Chambersburg, PA and Patti Crider Valentine of Greencastle, PA. In addition to his parents, he was preceded in death by a sister Mitzi Witmer and his step-mother Pauline (Finfrock) Crider. Funeral services will be held on Friday December 7 at 10:00 AM at the Antrim Brethren In Christ Church 24 Kauffman Rd. East Chambersburg, PA with Pastor Casey Hurst officiating. Burial will be in the Cedar Hill Cemetery Greencastle. The family will receive friends at the Antrim Brethren In Christ Church on Thursday from 5:00 – 8:00 PM. In lieu of flowers, memorial contributions may be given to the Compassion Fund of the Home Builders Sunday School Class, C/O Antrim Brethren in Christ Church. Online condolences may be expressed at www.zimmermanfh.com.